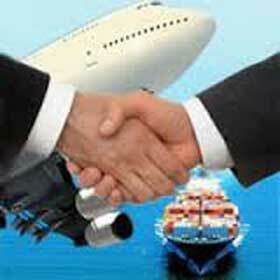 MTACon.com » Considered An Exporting Business? You Should. For instance, Gauler introduced Oklahoma’s former first lady, Shirley Bellmon, to the possibilities of exporting. Bellmon’s home-based doll-making company employs 29 people during peak season, but she hadn’t considered exporting. At a Trade America demonstration, Gauler needed only an hour to convince her. In 60 minutes Bellmon got detailed reports on the $2.4 billion worldwide toy industry, names and phone numbers of Oklahoma’s export consultants, and data on toy importers in Canada and Japan, the two biggest markets. The information wasn’t specifically on handmade dollss from Oklahoma but referred to the right industry –toys–to point the way. “Some of these reports were less than 30 days old,” Gauler says. “But it’s like selling a car no one knows how to drive” ifr people are unsure of what information they need or what sources to use. Data from federal agencies is posted on Trade America, includes sources ranging from the CIA to United States embassy staffs abroad. The bulletin board is open to the public and costs $90 for a one year subscription with a free 30-day trial. Researching online in fact, businesses of all shapes and sizes are currently exploring overseas deals, inspired by headlines about the North American Free Trade Agreement (NAFTA), the potential United States-Japan trade war, and the General Agreement on Tariffs and Trade (GATT). Marc Freed wants to stay close to his clients. How close? He plans to open his next office in his Palmyra Harbor, New Jersey, home to take advantage of 24-hour computer-and fax-based information sources and the eight-hour time difference between the United States and his Russian clients in Moscow. After seven years of building a social relationship into a commercial one, he closed his first sale of medical equipment to Moscow late last year. International Acquisitions Inc., which buys and sells various items worldwide, is preparing for monthly transactions of $500,000 or more. “I’m trying to take advantage of as many sources as I can,” says Freed. Doing business abroad requires gaining any edge possible, he notes, adding that the $4 faxes and $50 20-minute phone calls to his Russian counterparts can make or break a deal. The information motherlode Freed taps into is overwhelming and may not provide exactly what you’re looking for–until you know where to look. For a company seeking data on boat motor–purchasing trends in Honduras, say, any other data eats up valuable time. Freed’s experience, and his periodic frustration with the search for useful information, is the reason federal officials are working to streamline export-promotion programs and why local agencies from the chamber of commerce to utility companies are helping small companies to go global. For example, this past January, the Department of commerce opened four trial sites for Export Assistance Centers in Miami, Chicago, Baltimore, and Long Beach, California, to better coordinate export promotion. The Small Business Administration (SBA) is one of 19 federal offices that provide international trade services such as advice on getting financing, finding the right overseas market, and insuring your deal–these questions and more can now be answered under one roof. State and local export-promotion programs exist in more than half the states, from Ohio to California, and ventures like the Southeastern Pennsylvania Export Consortium have already embraced this idea of one-stop shopping, as it’s described by SBA spokesman D.J. Caulfield. The goal, he says, is to bring together experts on shipping, marketing, law, sales, and other subjects, with the results being more business for companies with products or services that are ready for export. One-stop shopping at the federal level could be expanded nationwide withing two years, Caulfield says. Because there are so many different sources of data, export-promotion programs have to work like a bucket brigade, with each agency handing off to another to avoid duplication of efforts. New York State used to mail qualified trade leads to companies every few weeks, an idea used by several agencies. some newspapers and magazines, including Crain’s Chicago Business, even reprint leads provided by the government. One benefit of all these leads is to help companies avoid dead-end prospecting. Although bulletin-board listings don’t favor goods over services, leads–especially fav service companies or consultants–come from human networking as often, if not more, that from searching databases. Universities, private consultants, and organizations such as the members-only World Trade Centers in hundreds of cities worldwide are all sources for connections. Eventually, you’ll create your own database of experts, says Stephen Kukan, a general manager at New Jersey’s Public Service Electric & Gas, which created TradeLink New Jersey to get small manufacturing firms into exporting and now has more than 1.000 clients in a variety of industries and sizes. Kukan advises that attending every world trade event can get redundant, so choose carefully, since keeping your business in business is your highest priority. Amen, says Freed, who admits he is still discovering new sources of data and sales leads for the next big deal. Communications and networking are critical in any business, even more so in world trade, he says. The speed and convenience of computer and fax can provide a real edge, if they’re employed effectively. The United States Department of Commerce’s Flashfax service can answer basic questions on Mexico, Eastern Europe, the Pacific Rim, and GATT. Each area offers reports via fax. Questions on finance, shipping, packaging, and other issues are often easily answered, but you have to know whom to ask. For example, certain computer and chemical technologies have the potential for military use, so such exports need to be licensed with the government. Companies should first check to see if there are any export restrictions on the product itself or the country to which it might be sent. You can then call ELVIS, ELAIN, and STELA (voice phone numbers).